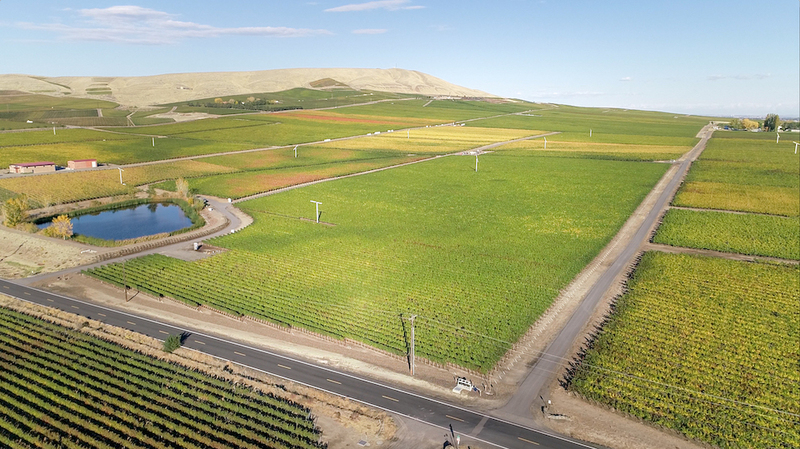 Washington has experienced an unbroken succession of six very warm to hot years, but by now the state’s most serious growers and winemakers have proven that they can stand the heat. While there are still many underperformers in Washington, at the level of the better wineries quality has never been higher than it is today, so that the number of wines rating 90 points or more in my annual coverage is by a clear margin the highest to date. And although it’s tempting to say that at today’s lofty wine prices, the wines have to be good in order to compete in the marketplace, Washington’s wines are still relative bargains compared to those of California, with many of them—reds and whites alike—offering outstanding value. As I write this introduction to my annual report on Washington’s wine, I have before me a flight of white wines that would have been unthinkable even ten years ago, when the state’s interest in Rhône varieties was pretty much limited to Syrah. I’m looking at a trio of superb Marsanne (or Marsanne-based) wines that could give their counterparts in the northern Rhône Valley a run for their money. These three bottlings (from Kobayashi Winery, Reynvaan Family Vineyard and Latta Wines) have terrific energy, complexity, balance and even minerality, as well as an element of delicious, sappy fruit that gives them greater appeal than their French counterparts, at least in the early going. 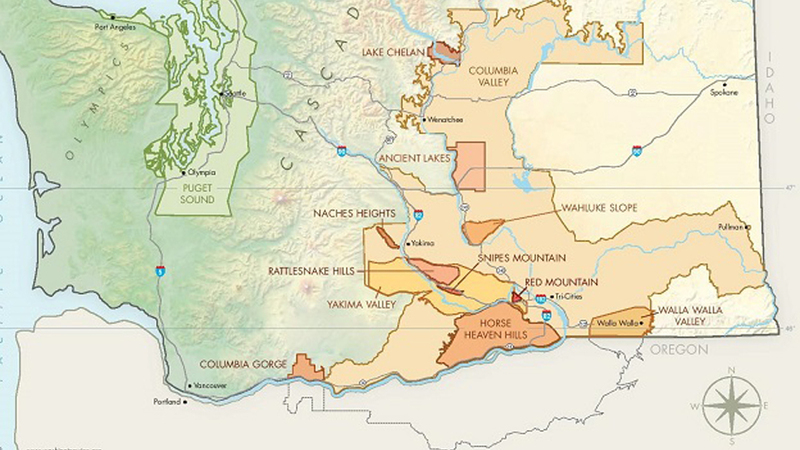 Although Marsanne—or even white wine in general—is not necessarily what serious oenophiles think of when it comes to Washington’s wines, the state’s disparate soils (including basalt, clay, silt and loam), very dry climate, long warm, sunny days and typically cool nights provide growers and winemakers with the conditions for making quality wines from a remarkably large number of varieties, red and white (nearly 70 are planted in Washington today). And some of the state’s best bottlings are now coming from cooler, higher-altitude sites that were not exploited until quite recently—a trend that the recent string of very warm vintages will only accelerate. Moreover, recent vintages—2016 and especially 2017—have been conducive to picking white grapes under favorable conditions, before their aromatic top notes have been burned off by sun and heat. Red wines, too, have made the most of recent growing seasons. Yet while the new normal has brought generally hotter temperatures, in most recent vintages a pattern of late-season cool-downs has mitigated the potential negative effects of hot summers, often allowing growers to let their fruit hang to gain in flavor and phenolic ripeness before grape sugars become unwieldy, berries start to shrivel and natural acidity levels plunge. In fact, beginning in 2013, and with only the exception of 2017, the shape of the growing season in eastern Washington has changed markedly, with budbreak and flowering consistently occurring earlier than previously. Whereas formerly temperatures could be expected to cool down markedly by mid-September, in ’16, ’17 and particularly ’18 the end of summer heat came earlier and harvests were extended and even rather leisurely. This year, following a hot July and first half of August, temperatures moderated quickly, and although some growers began picking as early as the first week of September, the harvest was long and drawn-out, taking place under seasonably cool temperatures and dry conditions, with no rush to pick. By early October, at which point a majority of the fruit was still hanging, daytime temperatures were consistently in the 60s and nights were downright chilly, slowing the final push toward maturity to a crawl. In the high desert of eastern Washington, early heat followed by cooler late-summer conditions affords an opportunity to make great wines. Two thousand seventeen was the only recent growing season in Washington that started late. The months of February and March were relatively soggy and April of ’17 was unusually cool, with more rainy spells—about as different as it could have been from the previous April. 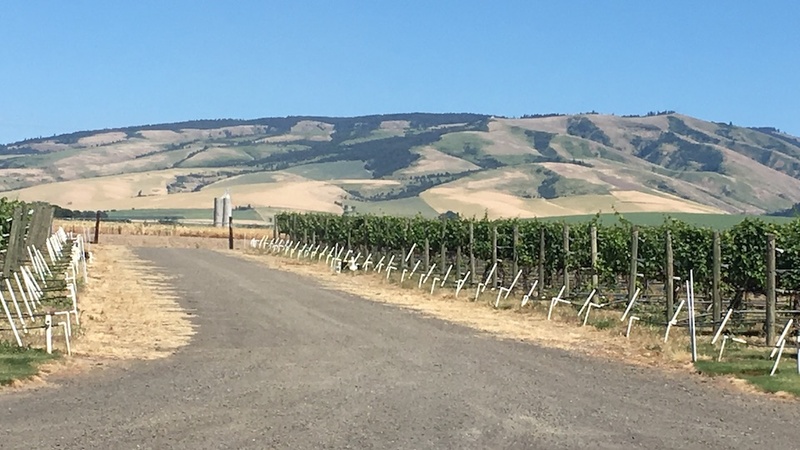 At Cayuse Vineyards in Walla Walla, according to assistant winemaker Elizabeth Bourcier, “we didn’t see our first day above 70 degrees until early May. As a result, by the end of that month, we were nearly four weeks behind 2016.” (Other producers mentioned the flowering being two or three weeks later than that of the previous two years.) Fortunately, the vines set a lower crop than the copious one in 2016, but owing to the wet late winter and early spring, growers had to work to control their vine canopies in order to control vigor. Temperatures warmed nicely during the second half of June, and then July and the first half of August were very hot except for a week of more moderate temperatures in mid-July. Once again, the vines got almost exactly the weather they needed during the peak weeks of summer. In fact, by mid-July the vines had largely caught up to the ripening schedule of 2016, and the period of veraison was hotter than that of the previous year. There was one more heat wave at the end of August and beginning of September, but after that the heat broke and conditions remained consistently moderate through the harvest, with a serious cool-down beginning on September 13. In some vineyards, ripening stalled. During the course of my tastings in Washington in late June and late July, several winemakers noted the moderating influence on high temperatures and scorching sunshine of a high layer of smoke haze in the atmosphere from mid-August through mid-September from numerous wildfires burning in British Columbia, Washington and Oregon. This had the mostly positive effect of slightly slowing the ripening process and drawing out the season. For some growers, the effect was quite marked, as they reported picking at lower sugars and higher natural acidity levels than they had even in some previous cooler vintages. These conditions were ideal for the state’s white wines, many of which are unusually vibrant, juicy and delineated, with a full range of aromatic perfume. Happily, I picked up virtually no evidence of smoke taint in the wines I tasted in recent months, and growers pointed out that the smoke remained high enough in the atmosphere to have no direct effect on the grapes. Once again, anthocyanin and tannin levels were quite high in 2017 owing to the season’s weather conditions—by most accounts tannins were even higher than those of the previous years, even if pHs were often higher and acidity lower than those of ’16 owing to warmer nights during the peak summer heat. The start to the 2016 season came as a shock to Washington’s growers, as it was even earlier than 2015 and 2014 had been. “We had 230 heat units by the end of April, which is unheard of,” said Aryn Morell (who makes wines for Gard Vintners, Alleromb, Morell-Peña and others), noting that the comparable figure by the end of April of 2017 was just 33. May continued warmer than average and the flowering in most vineyards took place even earlier than it had in 2015. The mild winter and very warm early spring and summer set the stage for a large crop. (The fruitfulness of the buds was also fueled by the very good weather conditions in 2015). As the season had started so early, many growers intentionally left more fruit—and more canopy—on their vines in an attempt to slow down the ripening process and avoid another August harvest. But then temperatures cooled down after the first week of June and remained more or less normal through the rest of the summer, except for a couple of hot spells in late June and late July. Much of July witnessed more cloud cover than normal for eastern Washington—hence minimal vine stress—and nights were pleasantly cool. Growers who had dreaded another freakishly early start to the harvest similarly felt less stressed. But the berries and grape clusters were large in 2016, due to the warm winter and spring and to the more moderate summer conditions, and as temperatures cooled down in mid-summer, the most conscientious growers began making passes through their vines to limit their eventual crop levels. Many growers anticipated a fast and furious start to the harvest, but although it began early, moderate temperatures through September and early October allowed growers to take their time picking. In fact, a number of producers told me that the near-ideal September weather was critical to ripening the year’s full load of grapes, especially following the cooler July and August. While a few growers—mostly, I suspect, those whose vines still carried too much crop—admitted that they had trouble ripening some of their fruit, most growers could let their red grapes hang until they showed little or no unwanted pyrazine character. Although the harvest had once again started early, most fruit was picked a week or two later than in 2015, and the extra hang time is reflected in the wines’ aromatic complexity, full flavor development, typically seamless textures, high levels of anthocyanins, and mostly harmonious tannins. (Still, Gilles Nicault, director of winemaking and viticulture for the Long Shadows project, told me that he started harvesting Chardonnay in August for the second consecutive year—and for only the second time in his 22 years in Washington.) One potential fly in the ointment in 2016 was unusually early autumn rainfall, which began during the second week of October and may have caught some of the later-ripening Cabernets still on the vines. But by then most of the fruit was in. Now that I’ve tasted most of the 2015s from bottle, it’s apparent that this very hot, early year yielded many opulent, showy, fruit-driven wines with substantial ripe tannins, but others that are distinctly marked by the extreme vintage. It was steadily hot through the growing season (with an extended heat wave—longer than two weeks—in late June and early July) and the harvest start was the earliest to date, with some wineries beginning in mid-August. (The entire growing season essentially began and ended about three weeks earlier than the norm.) Even normally cool vineyards ripened weeks earlier than they normally do. Picking dates were critical and because the harvest largely occurred in a rush, some fruit hung too long, simply for logistical reasons. The early-ripening varieties were particularly challenging, with a number of producers telling me that they were not happy with their Merlot in 2015. And conditions were difficult for making fresh, delineated white wines with moderate alcohol levels. While total degree days in 2015 set a record, some of this heat was actually recorded after the harvest had largely ended. For that reason, Chris Figgins (Leonetti Cellar, FIGGINS) told me a year ago that he doesn’t consider the vintage as extreme as years like 2009 and 1998, in both the temperatures and the resulting wines. But other producers reported issues with vine shutdown during the summer’s heat spikes. As a result of the early-season heat, berry size was typically small and the steady heat through the growing season resulted in highly concentrated, tannic, powerful wines with elevated alcohol levels. But that’s not to say that the 2015s have the same balance and energy as the ‘16s. Owing to the combination of quick ripening and some blockages of maturity during heat waves, more ’15 red wines convey suggestions of port-like ripeness or even roasted fruit character than in either ’16 or ’17, as well as numerous wines that reveal inconsistent ripeness—even underripe elements—as sugars may have galloped ahead of skin ripeness. But the better red wines lead with their fruit, and the best ‘15s are opulent, sweet and full, with serious but well-supported tannins. It should go without saying that a sizable percentage of the best wines from this hot vintage are from cooler, higher-altitude sites, which benefited from somewhat longer hang time and greater flavor development without radical loss of acidity in a year when the harvest was generally compressed. Among the standouts of my tastings this summer, besides those Marsanne bottlings, were a host of Syrahs in a distinctly northern Rhône direction: meaty, smoky, savory wines that manage to maintain their balance in spite of their sometimes very high pHs. Fans of European wines will particularly appreciate this style of Syrah and there are more of these wines than ever before. I also tasted some distinctly Old World-like Grenache bottlings that suggest there’s much more ahead for this grape in Washington, not to mention some intriguing rosés made from Rhône varieties. I also sampled a few Malbecs that struck me as the best yet from our West Coast. Certainly, benign conditions in recent vintages have allowed these varieties to ripen well without going over the top. Of course, Cabernet Sauvignon remains Washington’s most exciting red variety, with many of the top wines better than ever before as a result of increasing vine age, more refined tannins and the added lift, mid-palate texture and aromatic complexity that are increasingly being provided by the addition of Cabernet Franc and Merlot. And by most accounts, 2016 offered splendid conditions for the Bordeaux grapes, yielding fairly full but seamless wines that generally show fresher natural acidity and lower alcohol than the ‘15s and thus more precision, lift and aromatic interest. While the longer hang time in 2016 was usually sufficient to minimize underripe pyrazine elements in the wines, the fruit is often as much red as black, with little or no sign of overripeness. These wines should age well on their intensity of fruit and balance. As to white wines, I tasted numerous outstanding Chardonnays and Sauvignon Blancs from vintage 2017, and it’s also an excellent year for white Rhône varieties—and not just Viognier. It’s a crop of wines well worth buying, with another promising vintage (2018) right behind it. 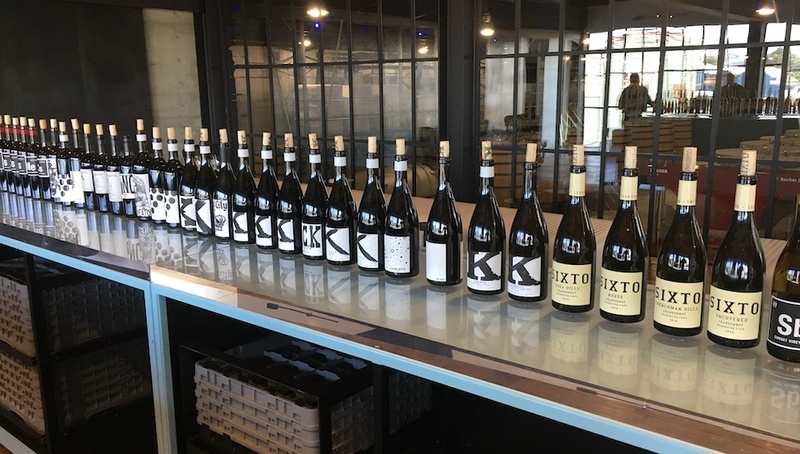 The wines in this article were tasted in Walla Walla and Seattle during the last week of June and the last week of July, and in extensive subsequent tastings (and retastings) in New York through the month of October. As in past years, I have published only tasting notes on finished wines.